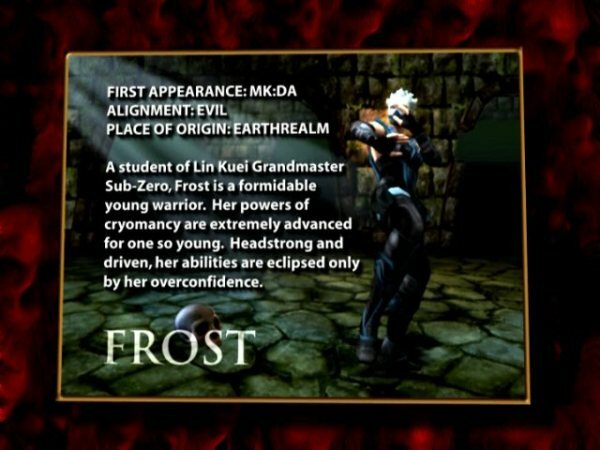 Frost made her first appearance in Mortal Kombat: Deadly Alliance as an apprentice to Sub-Zero, taking the character archetype of the overly ambitious fledgling. Her dedication to fighting and learning is overshadowed by her arrogance and hostility towards anyone she perceives to be greater than her, including her own master, to which she refers to as sifu (a Cantonese term for a master or teacher), and Sonya. 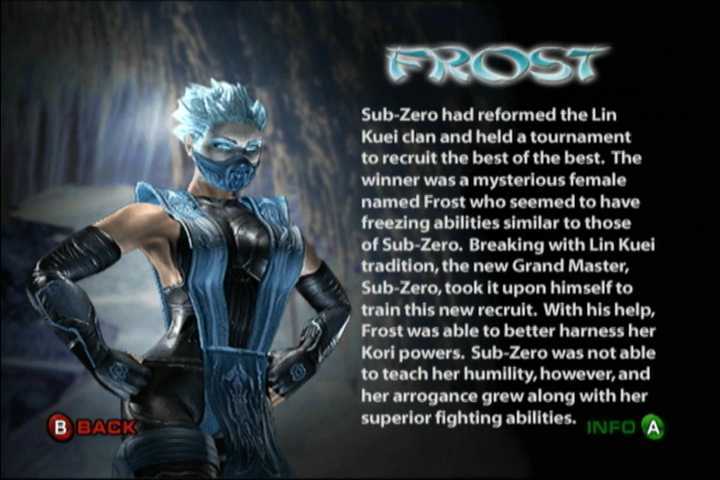 Frost possess freezing abilities similar to that of Sub-Zero, albeit in a minor scale. Proof of this is in the both their abilities to form solid weapons by freezing surrounding water vapor: while Frost can create small daggers, Sub-Zero is capable of creating a sword. After Sub-Zero became Grand Master of the Lin Kuei clan, he held a tournament in order to recruit strong warriors. The victor was Frost, whose exceptional skills impressed him. Breaking Lin Kuei tradition, Sub-Zero took her as his protegé and trained her personally. With his assistance, her ability to focus her freezing power increased. However, as her skills grew, so did her arrogance. 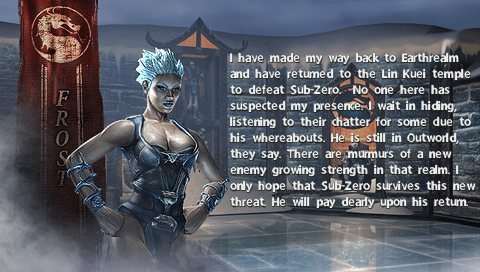 Sub-Zero was unable to teach her humility. When Raiden requested Sub-Zero's assistance in defeating the Deadly Alliance, Frost's training was cut short. Sub-Zero brought her along with him for assistance, hoping at the same time she would attain perspective and enlightenment through the experience of actual battle. 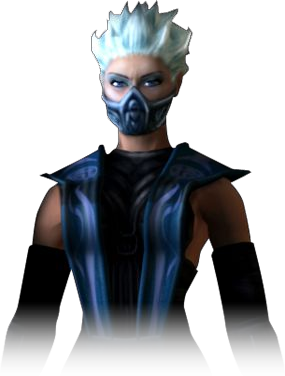 After meeting with the other Earthrealm warriors (one of which was Sonya, who did not get along with Frost), she accompanied Sub-Zero into Outworld. It is revealed in the MK Deadly Alliance Konquest mode, that Sonya had a brief fight with Frost in which it seems Frost would have lost had the fight not been stopped by the other fellow warriors. It seems Sonya never trusted Frost and was suspicious of her intentions in addition to the fact that she despised the arrogance of the new Lin Kuei warrior. Once there, her true intentions for joining the Lin Kuei became apparent. Desiring to become Grand Master of the clan herself, she immobilized Sub-Zero with a freezing blast and tore the Dragon Medallion (an artifact which enhanced Sub-Zero's abilities, as well as the symbol of Lin Kuei leadership) from his chest. Without the strength and discipline required to control the medallion's power, she was consumed by her own freezing ability, seemingly killing her. Street Fighter Alpha debuted Sakura, who was basically a female Ryu. 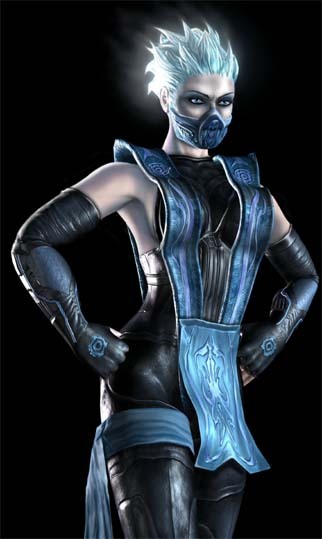 Thus, a female Sub-Zero seemed like an obvious design for the MK series. Visually, she's not a terrible-looking design, considering some of the others in the game, and gets some originality points for her icy hair. However, much more thought was obviously put into her look than her actual fighting style... her moveset is a bit uninspired. She's one of the better MK designs to debut in Deadly Alliance, which made it all the more surprising she didn't appear in Deception.